JOHNSTOWN, Pa. – An inmate at the Federal Correctional Institution in Loretto, Pa., pleaded guilty in federal court in Johnstown to a charge of possession of a prohibited object in prison, and was sentenced to one year and one day in prison, consecutive to the current prison term he is serving, followed by three years’ supervised release, United States Attorney Scott W. Brady announced today. Alexander Rodriguez-Melendez, 30, pleaded guilty to the indictment before United States District Judge Kim R. Gibson. 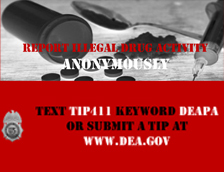 In connection with the guilty plea, on May 12, 2017, Rodriguez-Melendez possessed a quantity of Buprenorphine. Mr. Brady commended the Laurel Highlands Resident Agency of the Federal Bureau of Investigation, and the Federal Correctional Institution, Special Investigative Staff, for the investigation leading to the successful prosecution of Rodriguez-Melendez.